Open 7 days for lunch and dinner. 12pm – 3pm and 5pm till late. The menu is a veritable who’s who of meats in all forms, sourced from the very best beef and lamb producers. The quality beef is carefully selected from the highest pedigree and defined by breed and feed. So you will find dishes like the Signature Prime Rib, selected from the finest 150-day grain fed Black Angus that has been dry aged then patiently roasted in their special oven. Or the Jervois cut eye fillet on the bone, farmed on the West Coast, which gives this animal an unmatched tenderness and flavour that can only come from cattle fed on New Zealand’s magnificent grasslands. True to the great steak houses of the United States, Jervois Steak House is not solely about red meat. World famous Red King Crab, Oysters, Calamari, Prawn Tacos, Heirloom Tomatoes and daily chicken and fish specials, all take their place on the menu. It’s not just the menu that delivers the style and authenticity. An industrial staircase greets you on entry and timber floors and brick walls together with open fires leave you cocooned in an earthy warmth, that screams hearty food and rewarding big flavours. The spacious, but intimate bar, is the perfect space for that pre-dinner aperitif or cocktail and of course an after dinner cognac, port or coffee. On a sunny afternoon you can step out onto the lower steps of Brecon Street and sip an icy beer, stationed at a well positioned leaner where you can view the leisurely activities that Queenstown is famous for. Complemented by attentive and highly knowledgeable staff and a wine list that pairs a wide range of quality varietals and blends with the extensive menu, you will be hard pressed to find a more complete dining experience. The Jervois Steak House is testament to both the quality and excellence that the Nourish Group demands of the ingredients and the sheer expertise that is exhibited both front of house and in the kitchen. Thanks to all at Jervois! We had an intimate ceremony wedding on a mountain and followed it by having a lovely private dinner with our guests at Jervois. The food was magnificent, the service was beyond excellent and a shout out to our server Max for being professional, personable and efficient. The private dining room is lovely and dim lit with a roaring fireplace and perfect for private group dining. We thoroughly enjoyed our experience here and would highly recommend it to anyone. Rare to find a steak house that also nails the mash, veggies, sauces, wine matching and service. Very nice atmosphere to dine in :) food was great too! Lovely wait staff and atmosphere. My petit fillet was chewy but my husband had the Wagyu cut which melted in his mouth! We had awesome night, thanks so much! Great service and delicious food, as always. Incredible food, great service.. will definitely be back here! No service. Waitress took the wrong order, but no apology, nor did she look apologetic. Steak was very salty. (so salty that each of us almost drank a jug of water each, which we had to go and get by ourselves) I must say that your steakhouse is overrated, will DEFINITELY NOT VISIT AGAIN! I was absolutely wowed by the food and service,  The staff were helpful and very knowledgeable about the menu. The food was top notch. The variety of entrees was awesome and did the trick by getting me ready for my main course. So many steaks and sides to choose from yet the waiter made the decision much easier. Everything about the evening was perfect. I highly reccomend this restaurant. 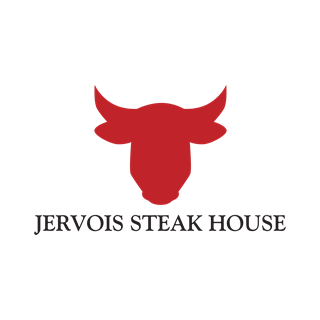 I have eaten at Jervois Steakhouse numerous times and it has always been amazing however last night sadly went in with a group of friends and it was disappointing. First of all the scallops came out cold. Then the main course come out and my portion of duck was tiny. The whipped potato which we had already put on 2 of our plates was cold so they took away both plates to redo with new whipped potato and we seemed to have lost half of the mushrooms we had on our plate. Very disappointed with our meal this time at Jervois. What a fabulous evening. Dinner was delicious, service was perfect & the cocktail was Devine. Thanks so much. We look forward to visiting again next time we’re in Queenstown. Always get top quality food at this restaurant! Really lovely food and great service! mashed potatoes has a little salty.